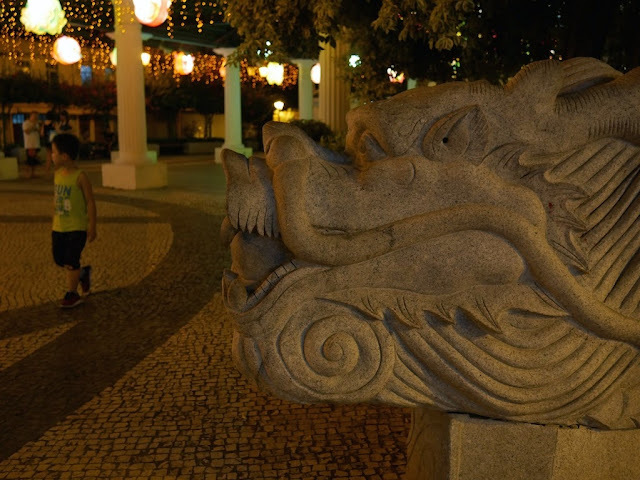 That is all for today, but tomorrow I will share many more scenes from a part of Macau which receives far less attention than Macau's casino resorts and colonial era historic sites. 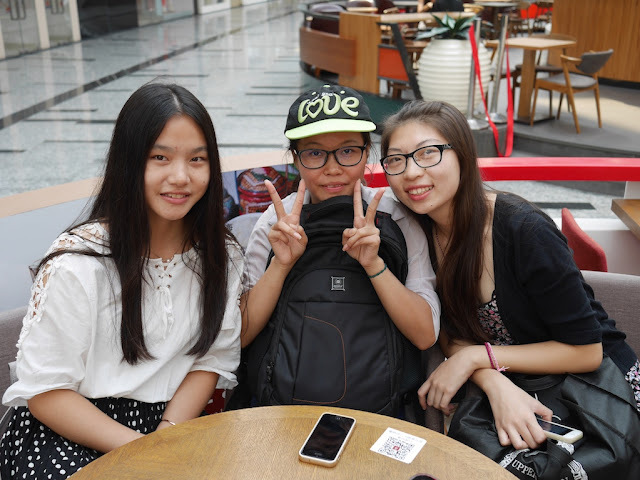 While I waited for a meal at a Singaporean restaurant at a mall in Zhuhai today, three college students approached and asked if they could interview me. They were all business English majors and as part of a class project needed to interview foreigners in English. Considering all of the impromptu interviews I have conducted in China myself, I figured this could be a small way to do something more in return. As I was about to agree one of them added, "Oh, and we need to video record the interview." In similar situations in the past students had simply requested a photo, but their teacher desired more compelling evidence. After I commented the video request was rather unusual, one student shared that all of the foreigners they previously found had refused upon learning about it. I wasn't at all surprised. And the student added that if she was similarly approached while in another country, she would respond int he same way. Still, I decided to submit myself to their questioning. But I felt inspired to add a stipulation: the one student would lend me her hat to wear during the interview. We had a deal. After I finished my meal, the interview was recorded on a Huawei mobile phone. The questions were light and typical, such as "What's your favorite city in China?" Soon they had sufficient material and stopped recording, though the conversation continued afterwards with me now taking the opportunity to ask a few questions. It isn't an interview I would want shared with the world, especially in video form, but I will likely survive if it isn't deleted as promised. Hopefully none of it appears out of context in a surprise China Daily piece. The students' challenges reflects a tension in China between schools seeing value in their students speaking with fluent (or more fluent) English speakers yet seemingly not valuing it enough to invest money to make it happen more regularly in environments where "natural" opportunities are few. More thoughts on this issue another day. And yes, I really wore the hat. Since injuring my leg last week in Zhuhai, to keep the wound and bandaging dry per doctors' orders I have altered my body-cleaning methods. 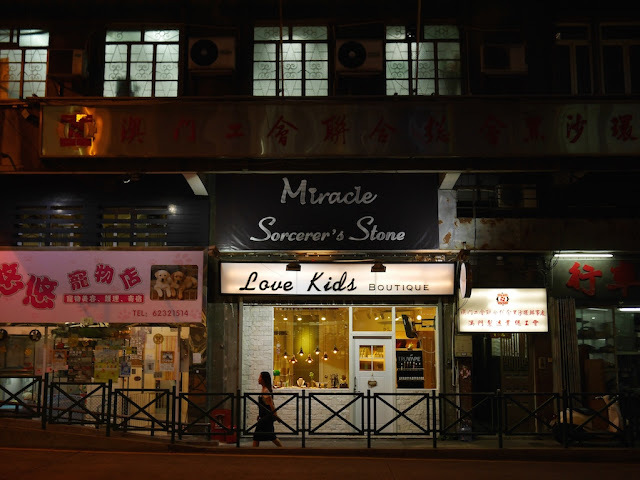 A high concentration of hair salons offering inexpensive "head washes" near Zhuhai's border with Macau has helped. A head wash which includes a head massage and often a shoulder & arm massage as well typically costs about U.S. $2.50 to $3.30 and lasts about 15-30 minutes. To make the most out of these difficult times, I have made the sacrifice of visiting multiple establishments to compare them, though evaluations are complicated by usual large variations of workers' skills within a single establishment. Would you like a facial? Your beard is rough! How about a shave? I will admit I was surprised. Other salons here didn't offer shaving. She kept on trying until I stopped replying to her comments. After that, all was good and my hair was soon clean. As usual, at the end they seemed rather amused I didn't want my hair blowdried. 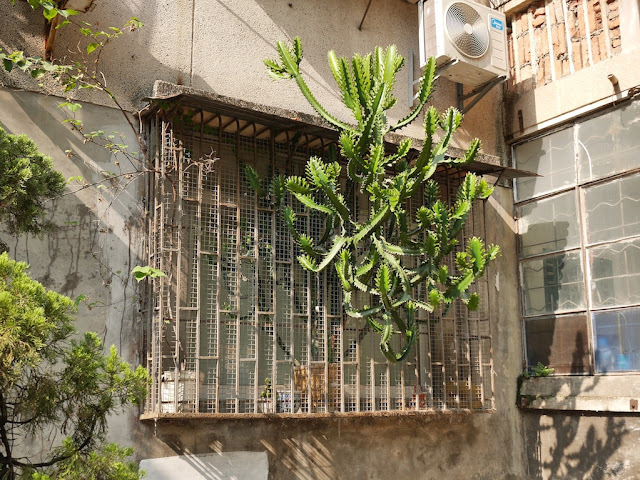 When I was in a condition where walking a lot was not an issue (such days shall return), one day I saw a plant in Zhuhai reaching through small openings for freedom . . .
. . . or sunlight. The plant overcoming a less-than-ideal placement and an metallic obstacle provided a a bit of inspiration. None of the boxes of diapers hit the ground. 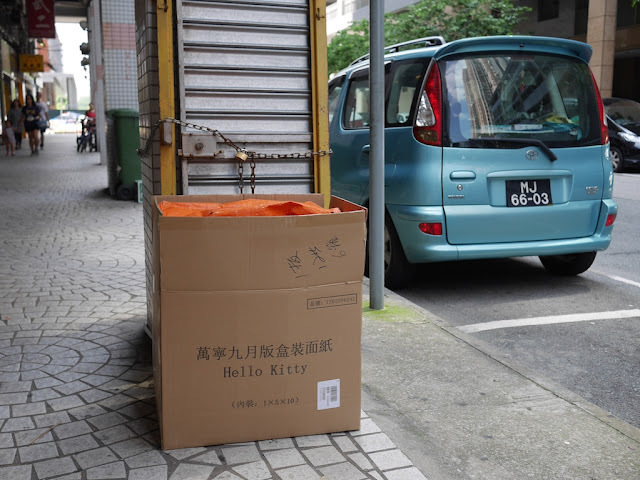 These diapers, which are designed to avoid another type of spillage, were apparently being delivered to locations in Macau. 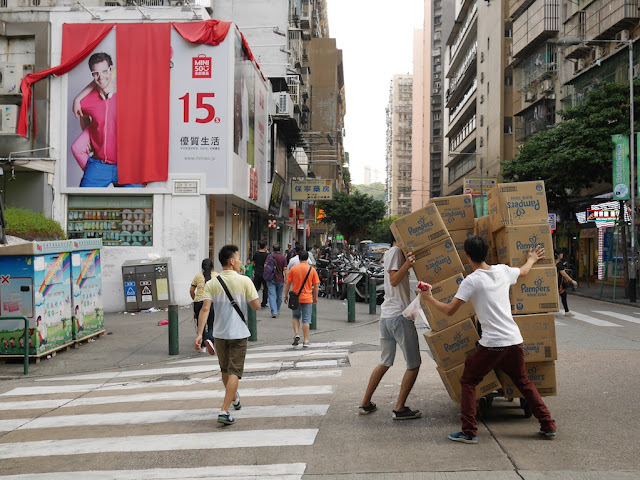 Given this area's close proximity to Macau's border with Zhuhai, many of the diapers are likely destined for locations in mainland China, whether as personal purchases or part of a grey market which I first looked at several years ago. 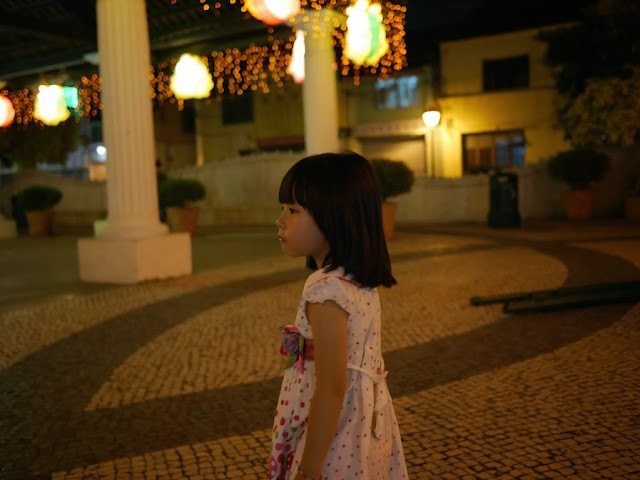 During my recent time in Macau and Zhuhai, I have revisited the topic. Later, more about what I found, including how goods not only flow out of Macau through the grey market but into it as well. 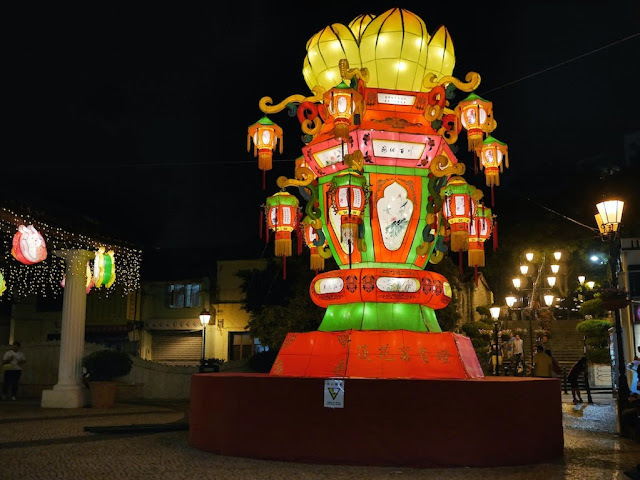 The above scene at Portas do Cerco shows a bit of how Macau is sprucing things up for the upcoming Mid-Autumn Festival holiday. I share the photo also because I will not need to cross the border between Macau and Zhuhai as much as I have been for the past several days, reflecting improved conditions regarding my recent injury. I think I will have a story about that to share soon. Whatever the case, I look forward to returning to some pieces I had hoped to post last week. Thanks to an incident earlier this week, I have been crossing the border between Macau and Zhuhai far more than I had ever expected. Many other events were unexpected as well. More soon . 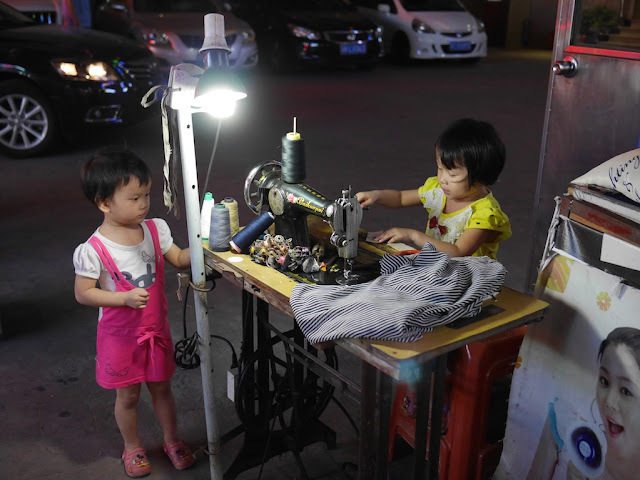 . .
Last night after doing my best to make the most of a buffet dinner, I saw two children outside amusing themselves around a sewing machine. Fear not, it was not an example of child labor. 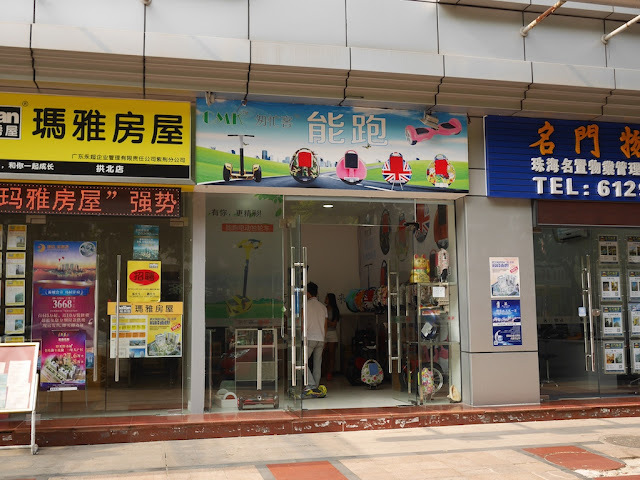 There are numerous people who offer inexpensive sewing services in this part of Zhuhai. They always look much older. I share the photo in part because it reminds me of a happier period last night. Not long after seeing the children, my shin made contact with a metal object firmly connected to the ground. I wish I had noticed it earlier, because if I had I would have chosen to avoid gashing myself. Since then, life has been interesting in a number of unexpected ways, some of which I could do without. After two trips to Macau in a single day, too much blood, and too little sleep, all is now OK.
And yes, the post I keep delaying will be delayed further. Really, I have a good excuse and a story to tell as well, if I can motivate myself to relive it. In the immediate future, I simply look forward to following the doctor's orders and get some rest. Despite earlier claims, I will not be posting anything tomorrow. 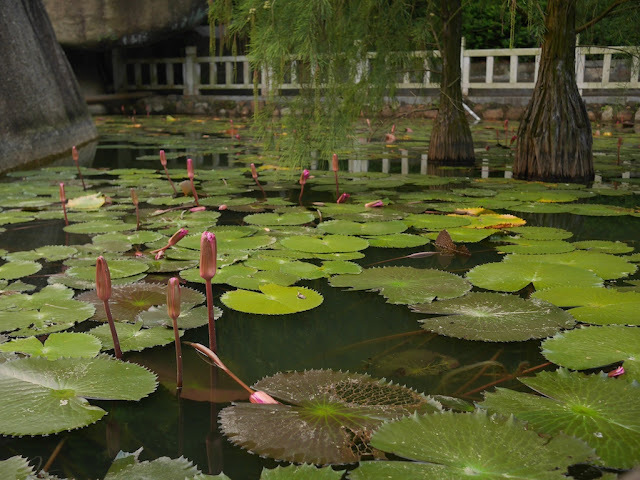 In an act of atonement, and reflection as well, I offer a peaceful scene from today at Jingshan Park in Zhuhai. A piece which I had initially planned to post yesterday and then said I would post today won't make its appearance until Monday. The delay is entirely fitting given the topic of the piece — a rather long bridge currently under construction that has been delayed to a far greater degree. So instead I will unashamedly share something else today connecting to the transportation theme. While walking past a shopping market today in Gongbei, Zhuhai, a man on an electric unicycle fortunately zipped by me. I say "fortunately" mostly because he wobbled during his approach, and I wasn't sure whether a collision was imminent. He achieved more stability just before he passed. 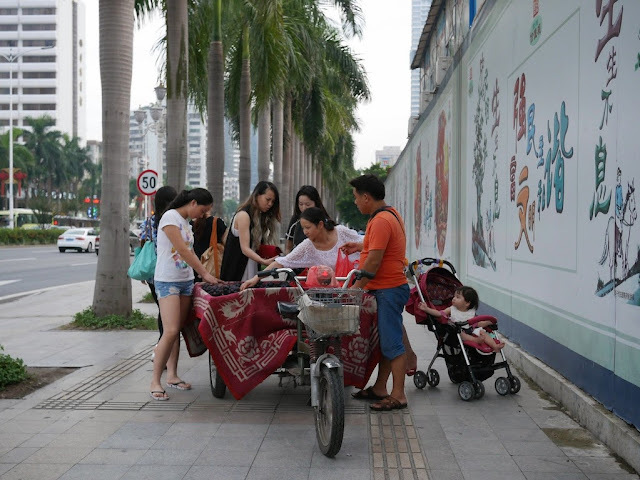 After taking the photo, I remembered the girl I saw riding an electric unicycle in Changsha and considered the frequency with which I have also seen them in Zhuhai — not an everyday sight but not rare either. So I was not entirely surprised when just 5 minutes later I saw a store selling electric unicycles and similar powered vehicles. What most caught my eye was the example on the sign of a British-themed electric unicycle. 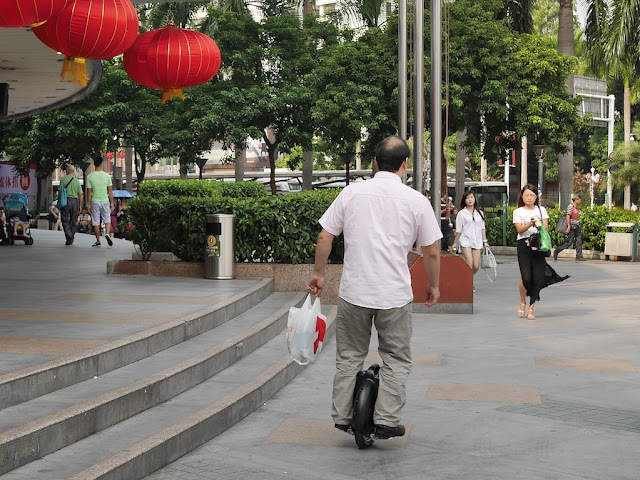 Scooters are banned in Zhuhai, yet the unicycle offers people something similar in spirit to British-themed scooters common in cities such as Shanghai and Changsha. And yes, they had one in stock. No, I did not buy it. Perhaps I will see one in use soon though. A more substantial post I had planned to finish today will appear tomorrow. 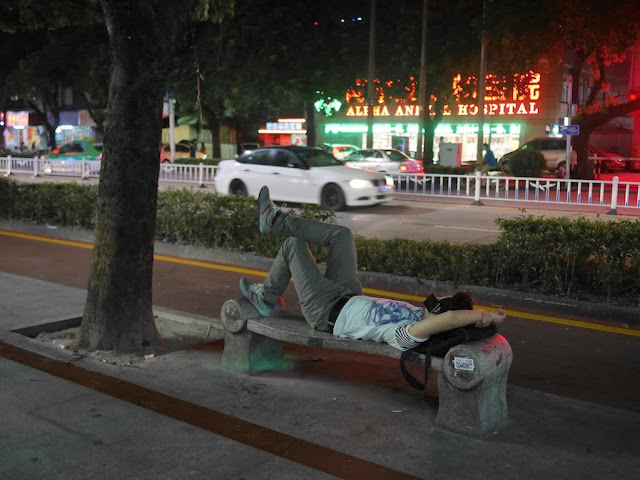 So instead, I will follow yesterday's photos of "deep thoughts" I saw in Zhuhai with a photo of a not-so-deep thought I recently saw one night also in Zhuhai. I didn't ask, but I would guess the shirt's appearance simply relates to the rather large gambling industry in nearby Macau and its connections with Las Vegas. 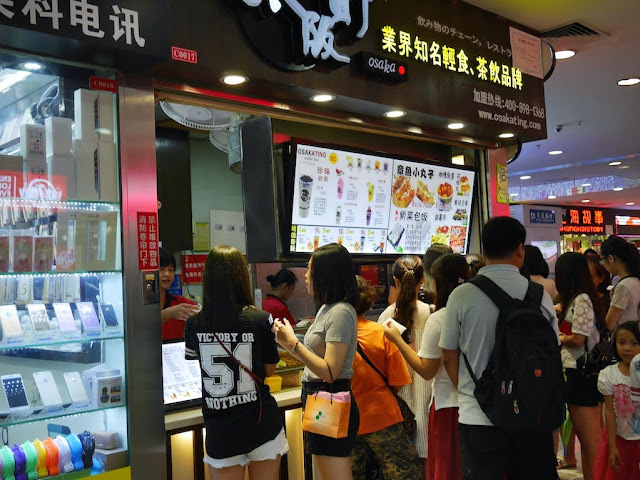 I doubt this offer still stands in Zhuhai, though offers of a similar nature are readily available at a nearby street frequented by tourists. 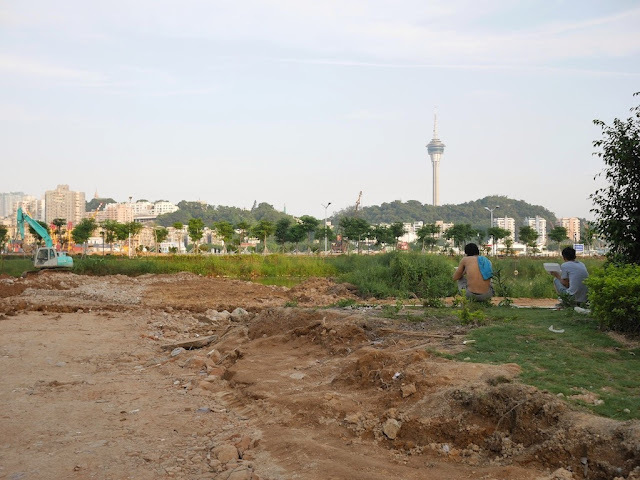 Today I saw some of the construction occurring in Wanzai, Zhuhai. More about that later. 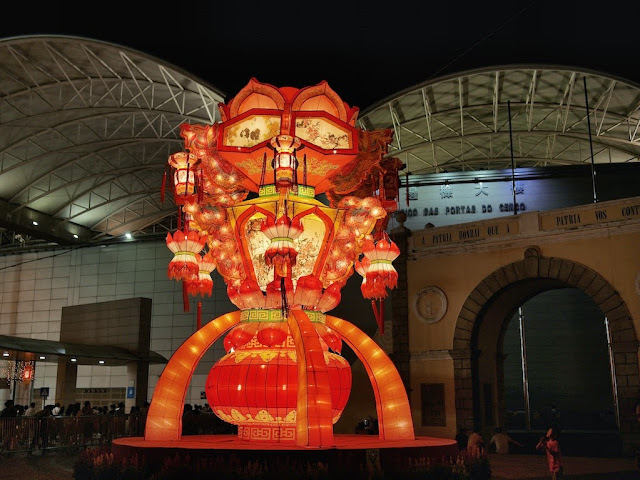 I have been to Macau many times, and planned to simply enjoy myself there for much of the day yesterday. Below are some photos. They don't cover all of my day. In fact, they don't cover what I would most want to share here from a more "local" part of the city less visited by tourists. But something unexpected occurred shortly after taking the last photo below. My camera's battery ran out. Actually, that wasn't unexpected. After putting in a second battery, I discovered it had no power left either. Now that was most unexpected. 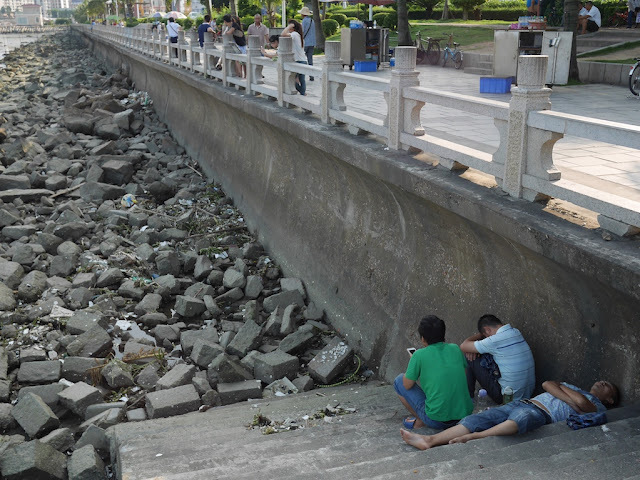 This has happened perhaps once before during years of photographing China. 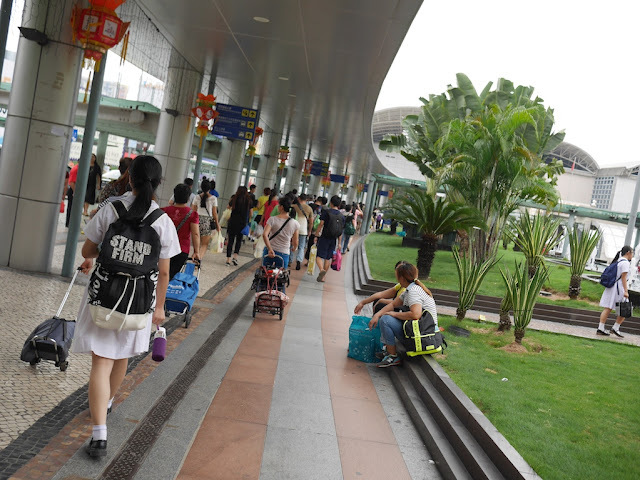 Yesterday morning I walked to the Gongbei Port immigration checkpoint in Zhuhai so I could cross the border to Macau. Since a work day had been shifted to Sunday to allow three consecutive days off for the recent holiday, I hoped there wouldn't be much of a crowd. Indeed, although it often takes around an hour, I made it through Chinese and Macanese immigration in less than 15 minutes. 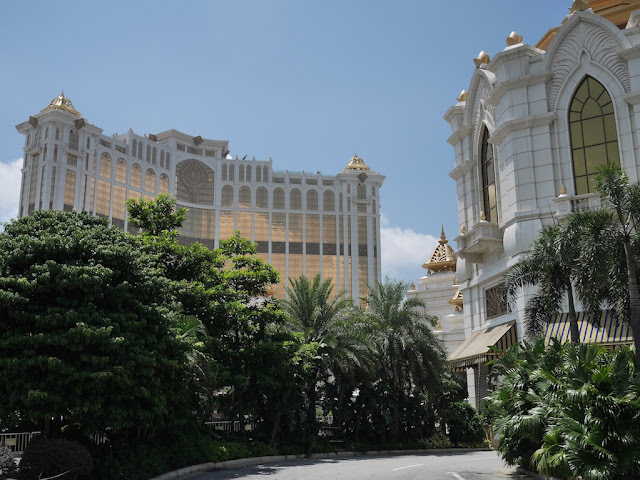 Once in Macau, I bordered a free bus operated by the Galaxy Macau — a hotel, shopping, and casino resort. 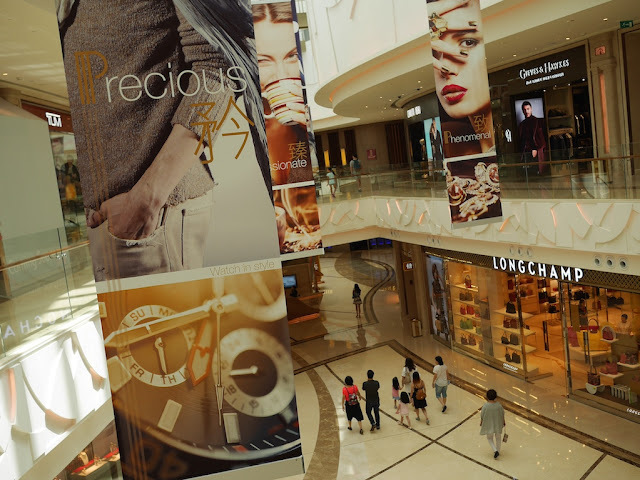 The already large complex had recently finished a major expansion I wished to see, partly due to interest in whether there will be sufficient demand for the still-growing number of shopping and entertainment options in Macau. 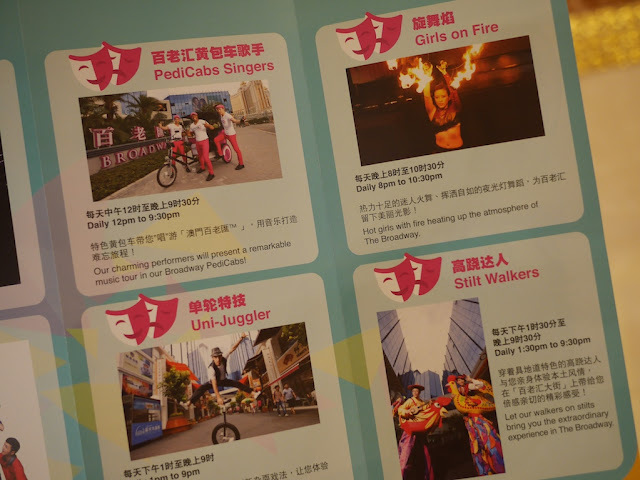 Before boarding the bus I was handed a pamphlet about the Broadway Macau, also owned by the Galaxy Entertainment Group, promising "hot girls with fire heating up the atmosphere", pedicab singers, a uni-juggler, and stilt walkers. 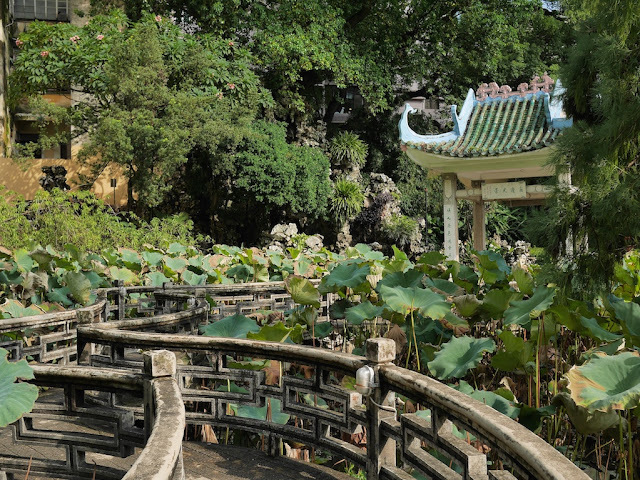 The bus took a highway down the east side of the Macau Peninsula and over a bridge to Taipa. Soon I was at the the Galaxy Macau in neighboring Cotai. Once inside, I found an ATM and withdrew enough Macau patacas to hopefully get me through the day. I then walked into the new east portion of The Promenade, basically a large luxury mall. I noticed a message on one of the walls, but I could not decipher it. The mall itself was just like a mall, most reminiscent of a luxury mall or two in Shanghai. I noted one of the signs included a possible reference to The Hobbit. Gollum himself would have recognized the significance of placing the word "Precious" near a man's hand in his pocket. 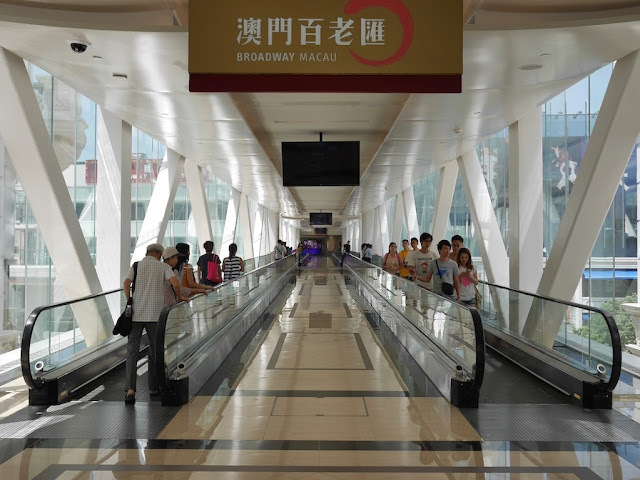 I quickly made my way through the mall and found the bridge over a wide road to the Broadway Macau. The indoor entertainment areas were rather quiet — not unexpected since no shows were on at the time. 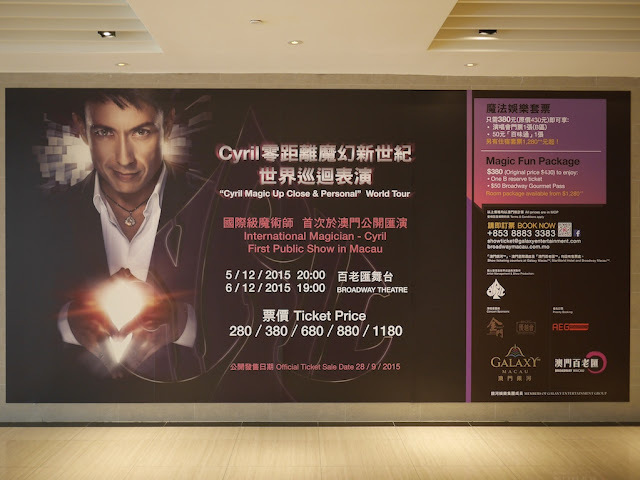 However, I could see some of the promotions, including one for a magic show in December. Another sign promised "Broadway Babes". 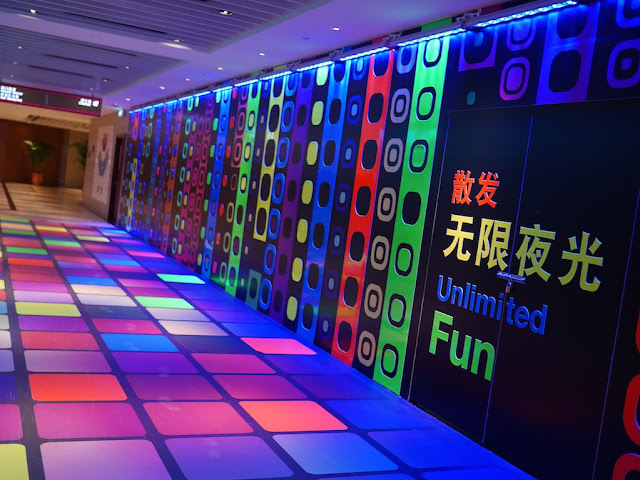 Whatever type of entertainment you like, a hallway promised unlimited fun, which sounds like a lot of fun. The only catch was it appeared to be behind a locked door. I then made it to the outdoor pedestrian street called The Broadway. 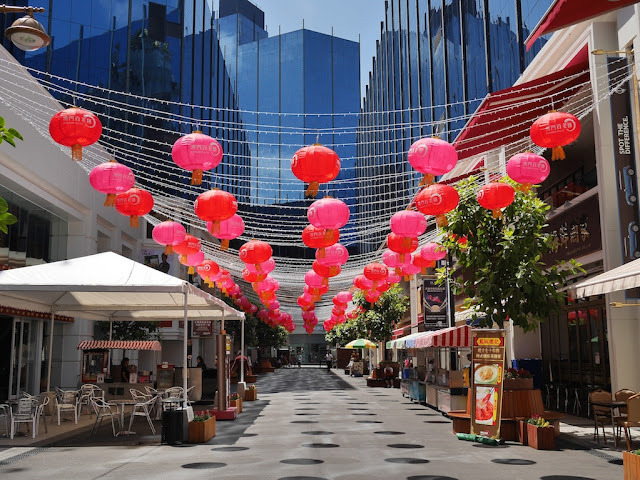 It didn't look anything like New York's Broadway, but it did remind me of what some streets in Orlando might look like if they had a bunch of Macanese and other Asian restaurants. The area was rather hot and notably quiet —no pink scooters, pedicab singers, or girls on fire. Apparently those are part of the nighttime festivities. So I made my way back across the pedestrian bridge, through The Promenade, and left the Galaxy Macau. 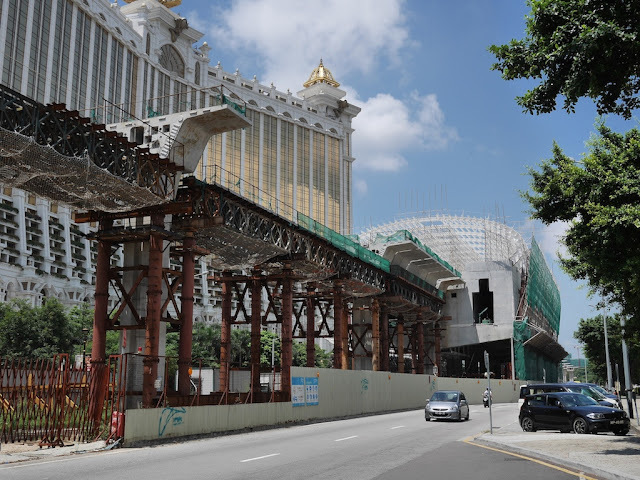 While crossing the street to head to my next destination, Taipa Village, I briefly looked at the progress on the Pai Kok station for the under-construction Macau light rail. 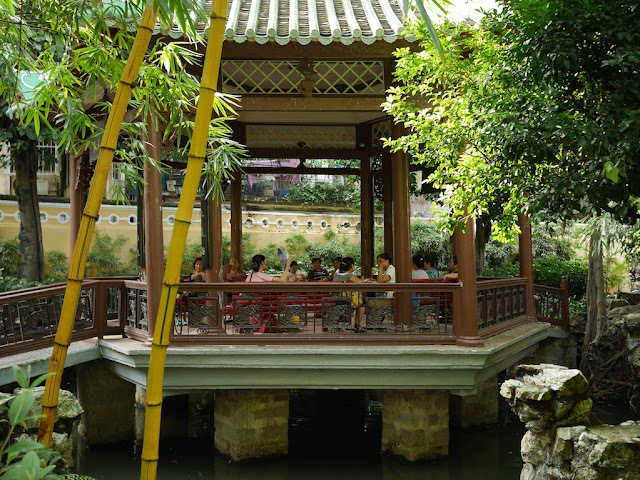 I had timed my arrival in Taipa Village to match with the opening of my lunch destination. I will refrain from posting any photos of the edacious and potatory event since I had a nearly identical experience during an earlier visit to the Portuguese restaurant "O Santos". The food was as good as ever, and I said hello to the owner who as usual enjoyed a meal at the front of the first floor dining area. Some changes since my first visits years ago included photos of more recent Portuguese football teams and Mick Jagger's visit there last year. After eating more than enough, the results of poor sleep the night before encouraged me seek a bit more caffeine. So I walked to the nearby Taiwanese Fong Da Coffee and ordered a "South Italian" espresso — a more special experience than visiting the Starbucks also not far away. 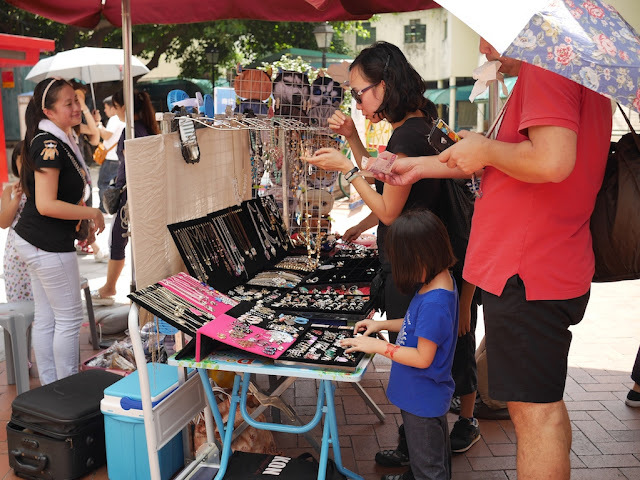 As the caffeine molecules began to do their work, I briefly checked out of the small Taipa Flea Market and observed a purchase. Now rather thirsty due to the hot weather, I headed toward a ParknShop supermarket where I knew I would find some items of interest. 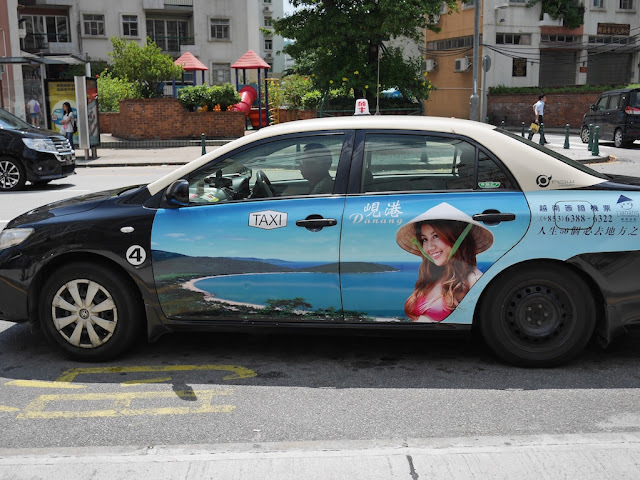 On the way I saw a taxi with an advertisement for place I had visited several years ago — Danang, Vietnam. 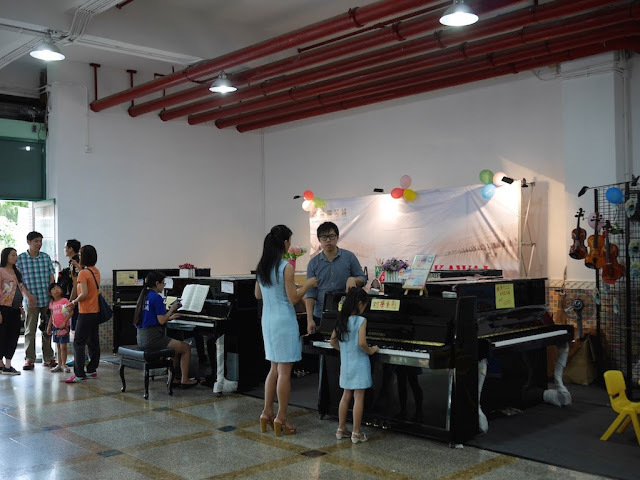 Upon entering the building with the supermarket I noticed a piano sale. 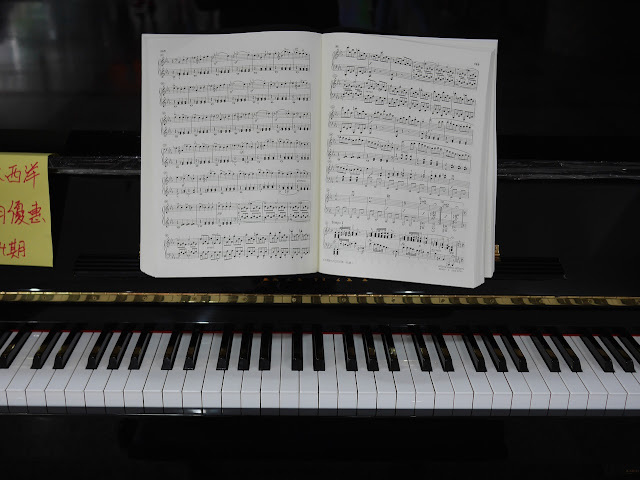 A collection of piano music had been left open, and I quickly recognized a great piece. Bonus points if you can identify it (the answer should be rather easy for piano majors). 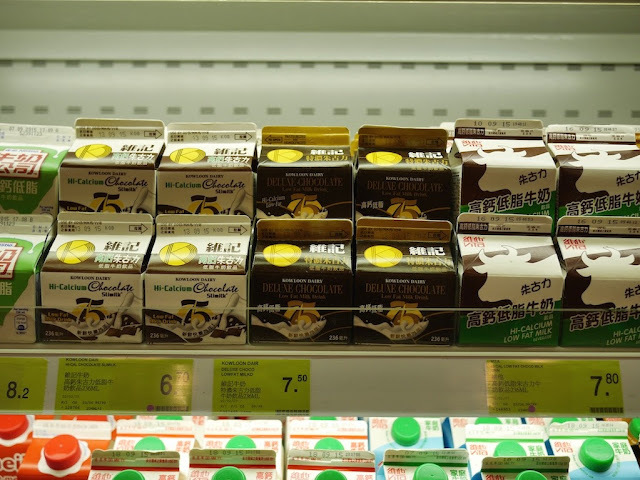 The piece is beyond my meager piano skills, so I headed inside the supermarket for a treat rather hard to find in most of mainland China — low fat chocolate milk. 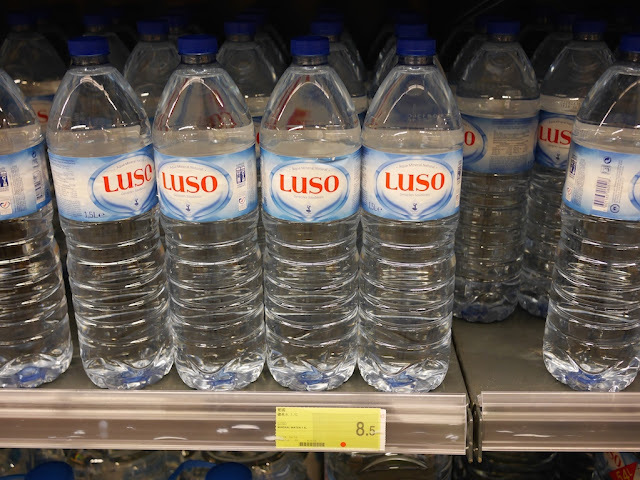 Since I was in Macau, a land with much Portuguese influence, I bought something else also not common in mainland China — Luso spring water. 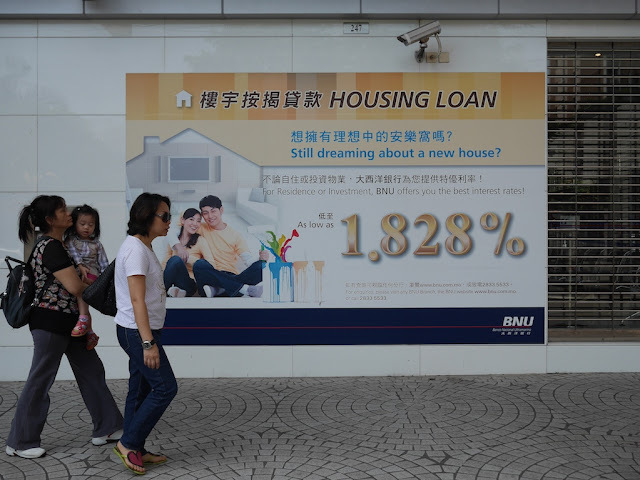 As I rehydrated outside, I considered the challenges and pressures many face in Macau, and the rest of China — owning a home. I was also reminded of how many cats love nothing more than a big cardboard box. Soon it was time to head to my destination for the afternoon. Just as I approached the bus stop the right bus arrived. I did not take it. A few seconds later another bus for the same route arrived. I took it. My final bus stop back on the Macau Peninsula was next to a peaceful site, so I decided to visit the Lou Lim Ieoc Garden. I spent some time at an art exhibition there — more about that in a later post. 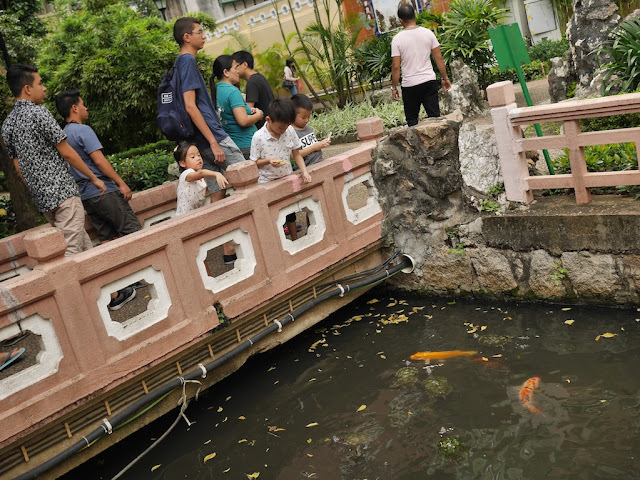 I also watched children feed some turtles and fish. I also enjoyed the garden's winding paths. And I saw a number of people enjoying the surroundings. That's the unexpected end to this post. I do have a story sans photos to tell about what happened next, but I will save that for another day. 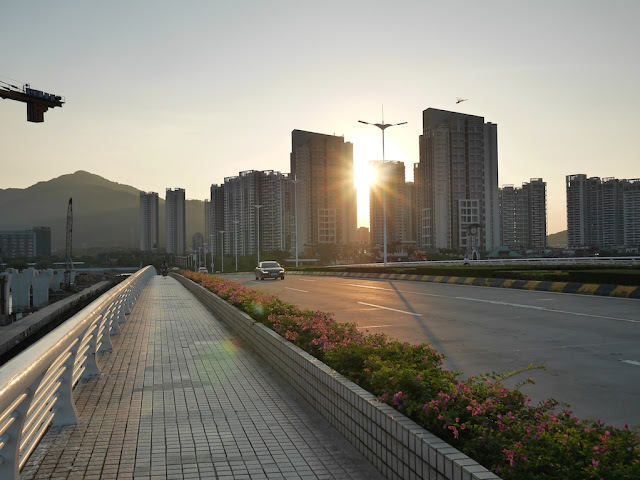 While I faced west on the Changsheng Bridge (昌盛大桥) today, a dragonfly made an unexpected appearance in a photo I took as the sun lowered in Zhuhai's sky. It reminded me of a dragonfly which similarly photobombed a photo I took of the Fengyu Bridge at Yuejin Lake in Changsha, Hunan. In both cases, the dragonflies were welcome. A small portion of a crane appears in the upper-left corner of the photo as well. More about that construction project in a later post. Yesterday after the “Commemoration of 70th Anniversary of Victory of Chinese People's Resistance against Japanese Aggression and World Anti-Fascist War” military parade had finished, I saw people eating Japanese food during the Victory Over Japan holiday. Today is also a day off for many due to the holiday. But again I didn't see anything which specifically mentioned the holiday. But also again, I saw something which may be a sign of people celebrating. 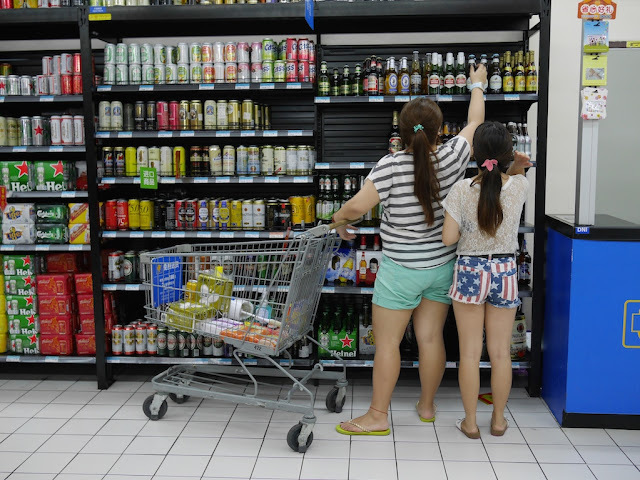 Tonight in the new Walmart in Zhuhai's Gongbei subdristrict, two young women discussed which beer to purchase. One of them even wore shorts with a patriotic design. I am not sure if they were looking for a Japanese brand, but I didn't see any. Interestingly, their final choice was a beer from Germany, another country which came out on the losing end of World War II. Or maybe, like with the Japanese food, it had nothing to do with the holiday. Hard to say. Japan was one of the most popular overseas destinations for Chinese tourists during a three-day national holiday through Saturday, travel agencies said. . . .
“I chose this time to visit, because the government suddenly announced (in May) this special holiday,” Yu Yong, a 40-year-old employee of an information-technology company, said. “I heard that Japan is a very good place and recently it’s a hot tourist destination.” . . .
Yu said he made a good decision to leave Beijing around the time of the parade and it has been worth seeing the many differences between the two countries with his own eyes, although he thinks the 70th anniversary should be observed at a state level and by the rest of the world. After seeing a dramatic downturn in the number of Chinese tourists in the wake of China’s fall 2012 anti-Japanese riots, Japan’s rebound has been swift. 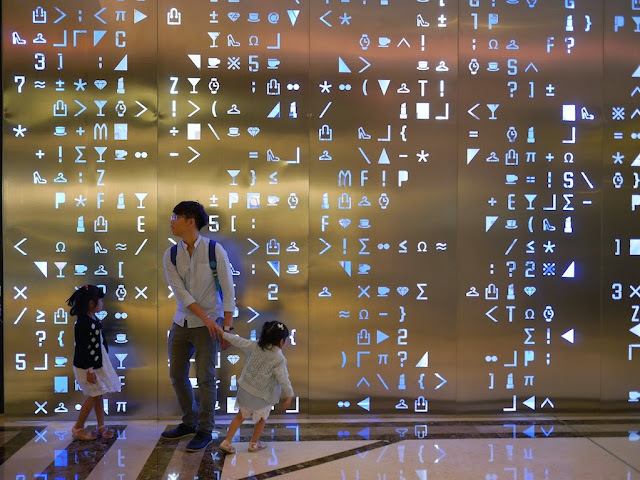 Buoyed by price-conscious Chinese shoppers chasing a weaker yen and no sales tax for foreigners, the country is expected to see 4 million Chinese tourists by the end of 2015, a two-thirds increase from last year. . . . Despite an onslaught of anti-Japanese propaganda TV shows and films in the lead-up to the parade, this summer saw especially high Chinese traveler growth numbers in Japan as many Chinese tourists opted to skip South Korea due to the MERS outbreak and Hong Kong due to increased travel restrictions and anti-mainland sentiment. So while Beijing has been loudly displaying its growing military power, Japan may be more quietly building its soft power. Signs of some national holidays in China, especially Chinese New Year, can be easy to see, even if just through store promotions. 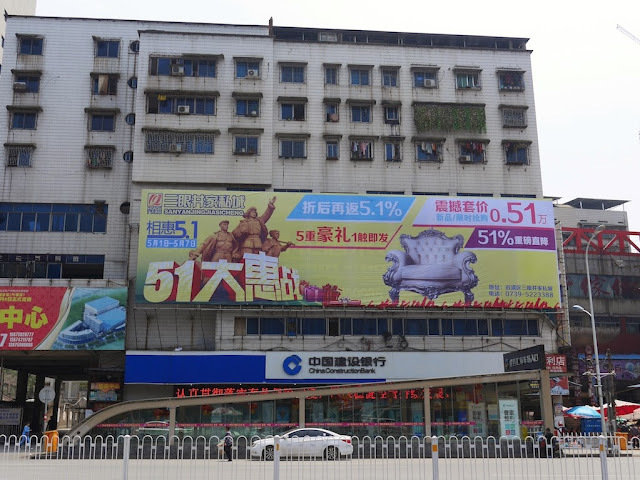 For example, around Labor Day earlier this year I saw a patriotic image used for a Labor Day sale in Shaoyang, Hunan. “Commemoration of 70th Anniversary of Victory of Chinese People's Resistance against Japanese Aggression and World Anti-Fascist War” events no doubt left their mark in China today, especially in Beijing. 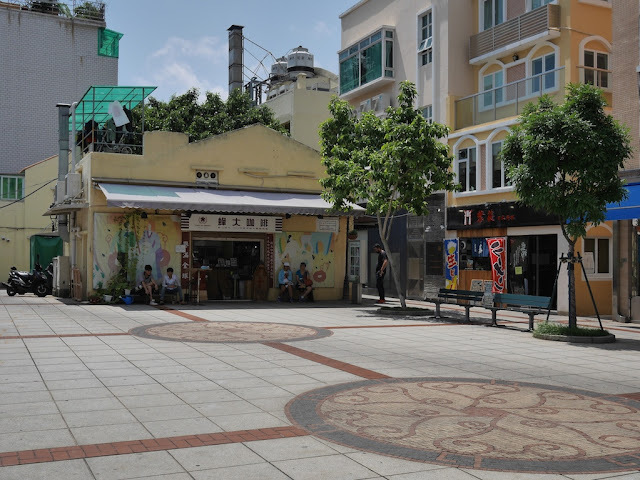 But although the crowds were noticeably larger in shopping districts in Zhuhai's Gongbei subdistrict, an area which sees a large number of tourists, I didn't see a single thing specifically referencing today's Victory over Japan holiday. Perhaps people were quietly feeling patriotic as they shopped. And maybe it was no coincidence one person I saw wore a "VICTORY OR NOTHING" shirt today. Maybe it was also no coincidence she made an order at a small establishment serving Japanese-style food. Whatever the case, anti-Japanese sentiments in China weren't stopping her or others from eating Japanese food today. Maybe that is a small positive sign. Today is a special national holiday in China marking the 70th anniversary of the end of World War II. The most notable set of events today included a military parade in Beijing with the official title “Commemoration of 70th Anniversary of Victory of Chinese People's Resistance against Japanese Aggression and World Anti-Fascist War”. I didn't watch the parade. Instead, I kept up to date using Twitter. The Great Firewall blocks the service in China, but there are still ways to access it, including through use of a VPN. I am not sure which methods are preferred by official Chinese news services such as Xinhua and People's Daily, but they, like many others, tweeted comments, images, and links regarding the parade. Below are 22 tweets which offer various perspectives, some including humor, on a parade difficult to fully characterize (images may not appear if viewing this post through some RSS readers). The tweets aren't intended to be representative of all peoples' viewpoints, even just on Twitter, but together they tell a story. What that story is will depend on your own viewpoints. OK, I confess: I turn back to Victory Parade, and they’re showing “Now the second formation of NUCLEAR MISSILES.” Do we do this even in US? so basically: china is throwing a big party for winning a war it didn't win. and the most notable guest is an international criminal. Xi Jinping: "We love peace" State TV commenter on parade: "Look at this missile, it can hit Hawaii"
Lots of sniggering about parade here on Twitter but for many Chinese watching, ample pride in knowing China will never again be invaded. 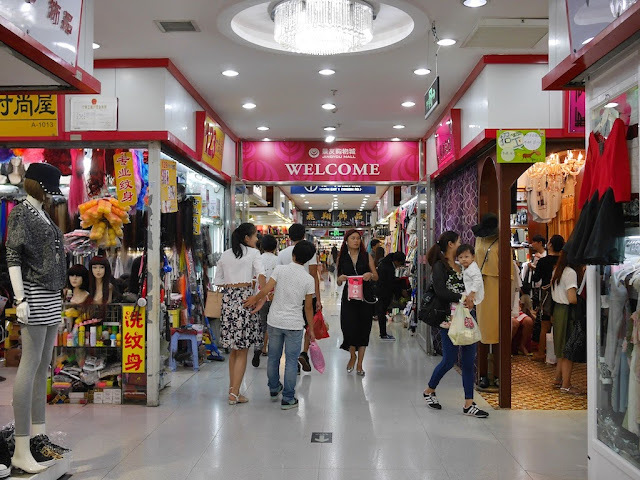 Hundreds of stalls in the underground Zhuhai Port Plaza shopping center in front of the Gongbei Port immigration checkpoint in Zhuhai, China, sell a wide variety of clothing. Yesterday I saw an unexpected item there which reminded me of where I last lived in the U.S. — Baltimore, Maryland. 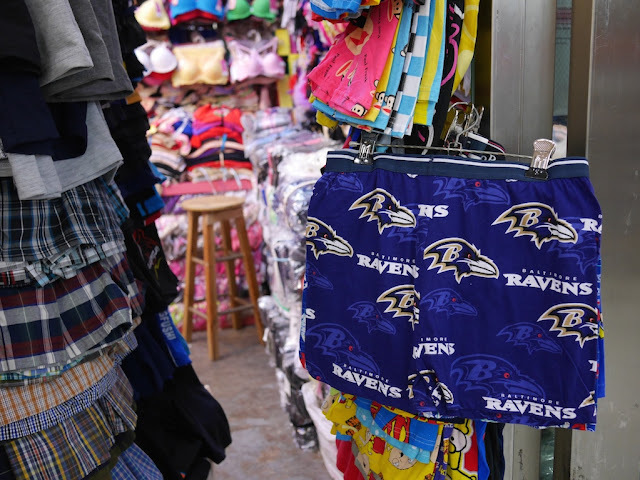 A young saleswoman said the boxer shorts with the logo of the Baltimore Ravens, a National Football League team, cost 25 RMB (about U.S. $3.90). Although bargaining would likely lead to a lower price, the shorts are already much cheaper than any similar items for sale on the Baltimore Ravens official online store. Obvious imitation products are plentiful at many shops in the market, so it is easy to believe these boxer shorts aren't entirely legitimate. In regards to counterfeit Baltimore Ravens merchandise coming from China, a few years ago the Baltimore Sun quoted the NFL's vice president of legal affairs as saying "If you're buying merchandise from a China-based website, you're probably not getting the real thing". 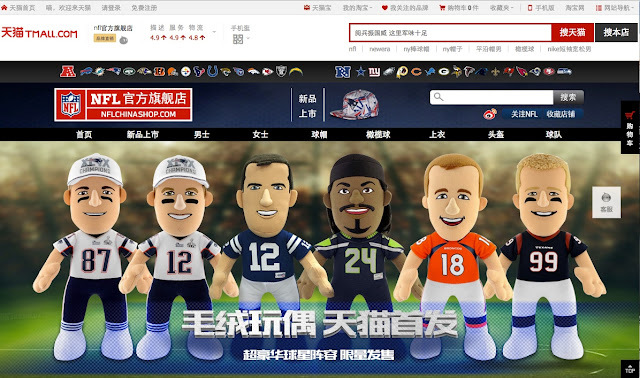 But the claim doesn't appear to be as true anymore, since the NFL now has a store on Alibaba's Tmall.com which is referenced on the the NFL's website for China. 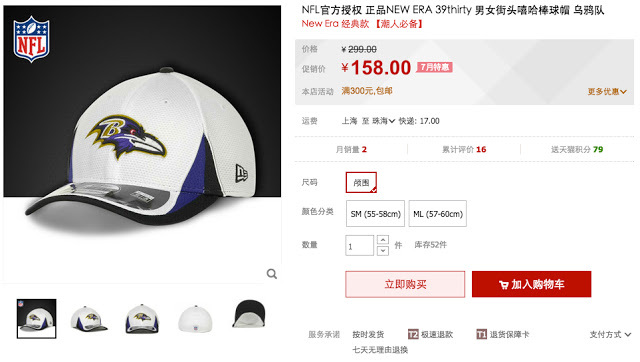 A Ravens hat currently sells there at nearly a 50% discount for 158 RMB (about U.S. $24.80), not very different from the same hat's current discounted price of $22.99 on the NFL's U.S. online store. 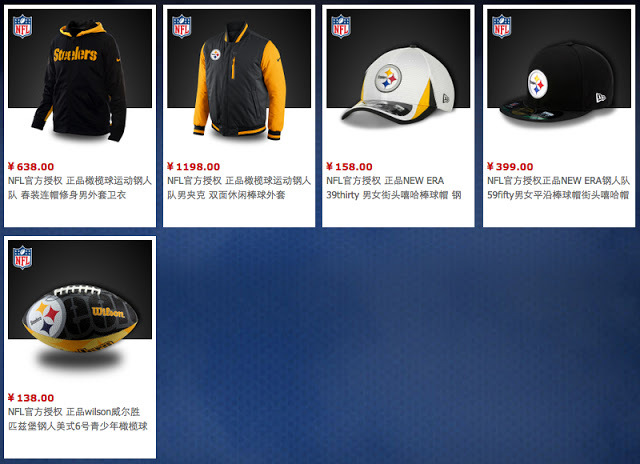 The Ravens page at the NFL Tmall store doesn't list any other items. The store offers five items with the logos of the Ravens' biggest rival, the Pittsburgh Steelers, though. At least the Ravens can take heart in the fact I didn't see boxer shorts for any other NFL teams at the shop in Zhuhai. But the Ravens and the NFL shouldn't look at the shorts themselves as necessarily a sign of growing popularity in China. It is not uncommon for people in China to wear clothing with logos more familiar elsewhere simply for their look without concern for their full meaning. Although there are indications the NFL's relatively small fanbase is growing in China, I very rarely meet anyone familiar with it, sharply contrasting with widespread recognition of the NBA. 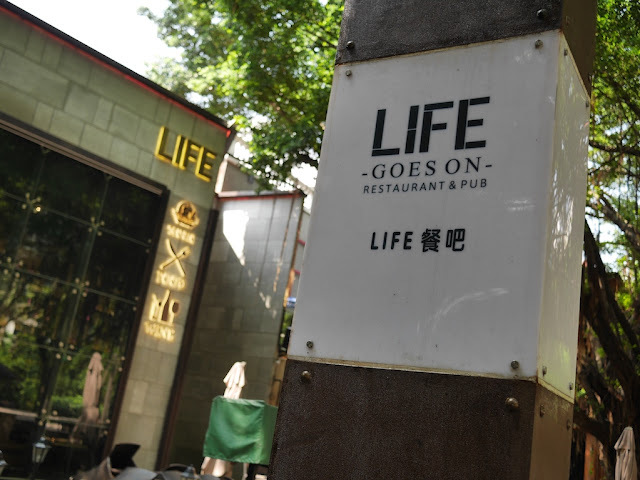 Likely similar to most people in China, the saleswoman didn't know the meaning of the logo. Nor she she seem to care in the least when I informed her of its connection to an NFL team in the U.S. Nonetheless, if the Baltimore Ravens later notice a fan base unexpectedly growing in Zhuhai, these shorts may be where it all began.